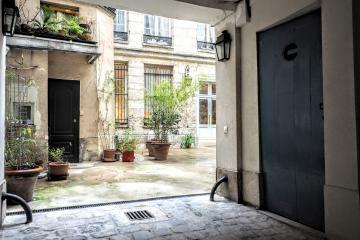 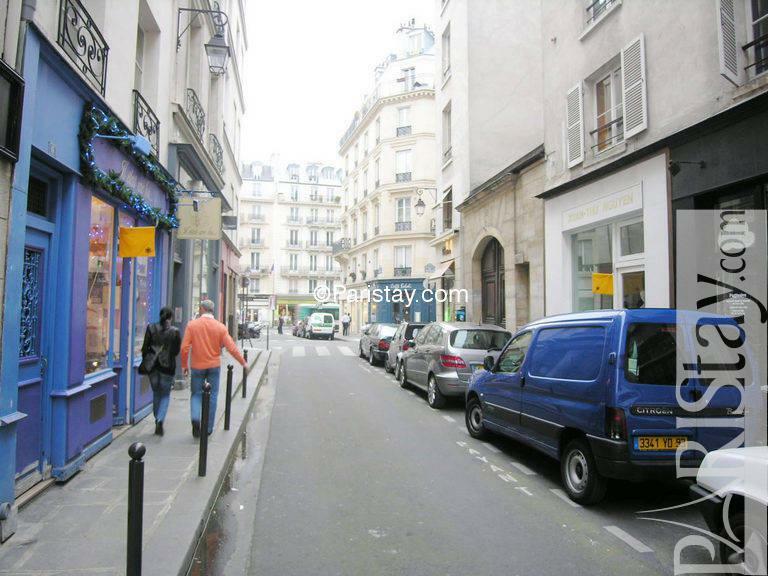 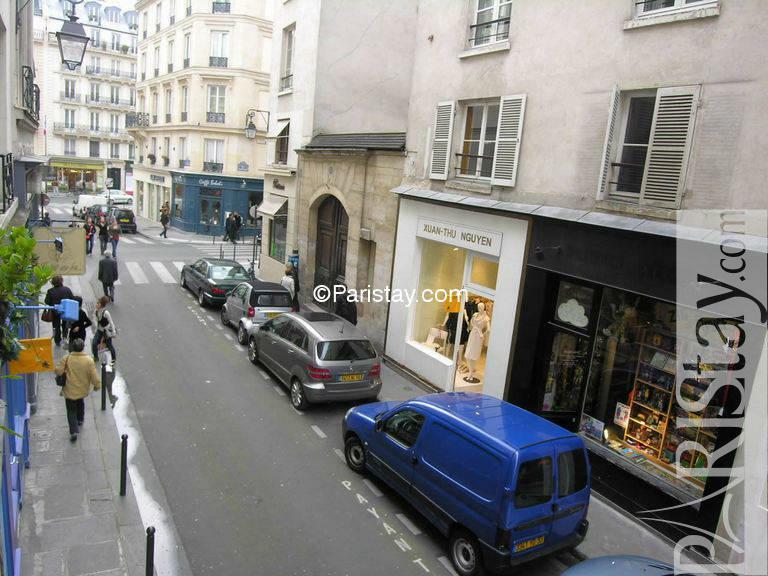 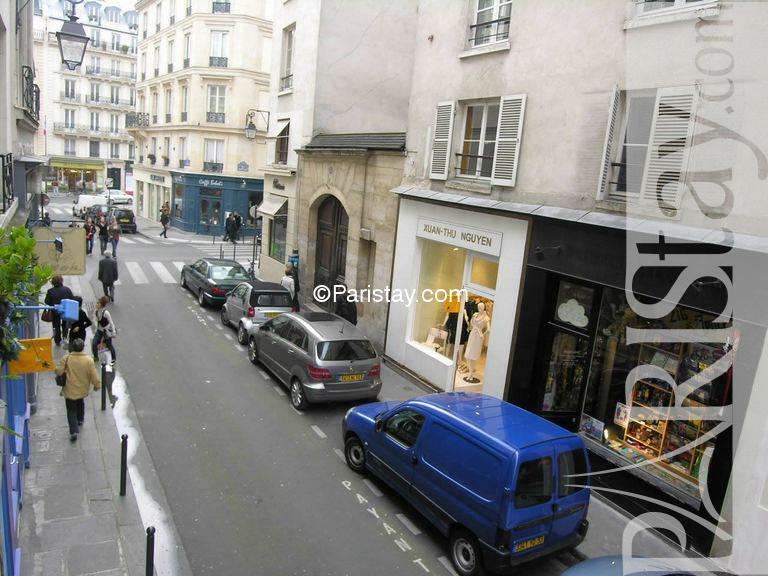 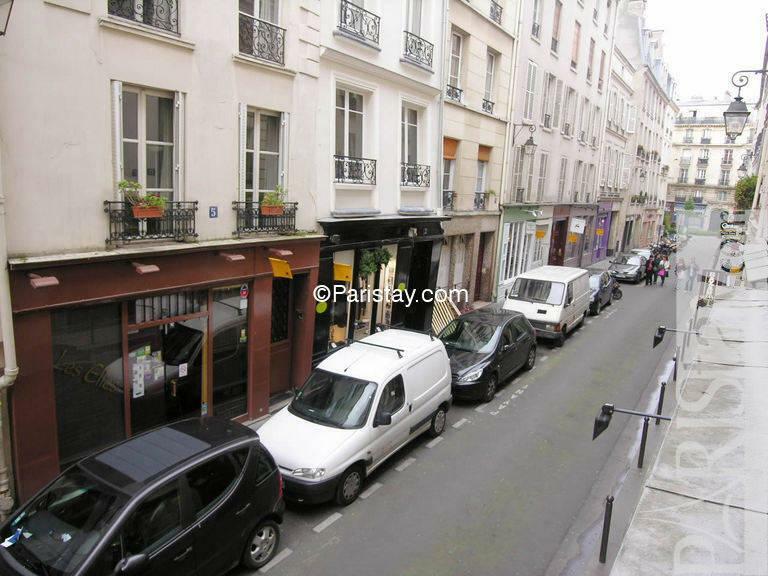 Spacious and unique two-story apartment in the heart of Le Marais, steps away from all the local groceries, bakeries, markets, cafes and restaurants as well as designer shops and the Georges Pompidou Center (Beaubourg). 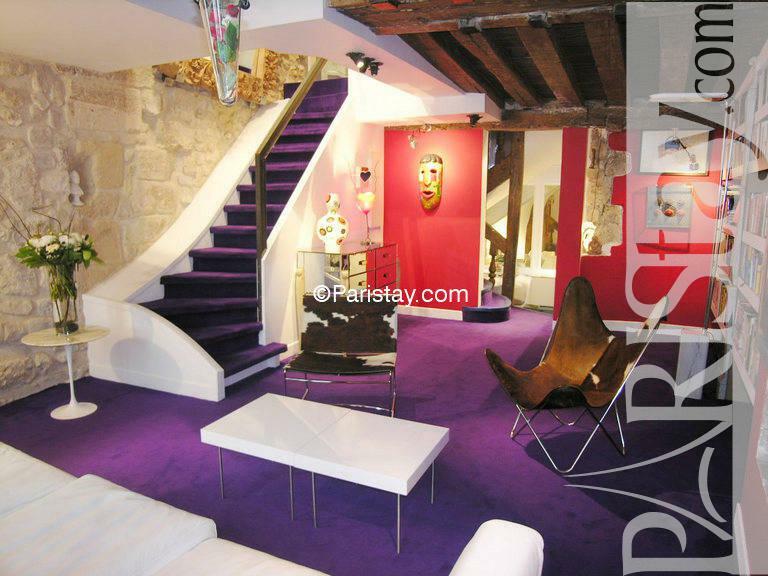 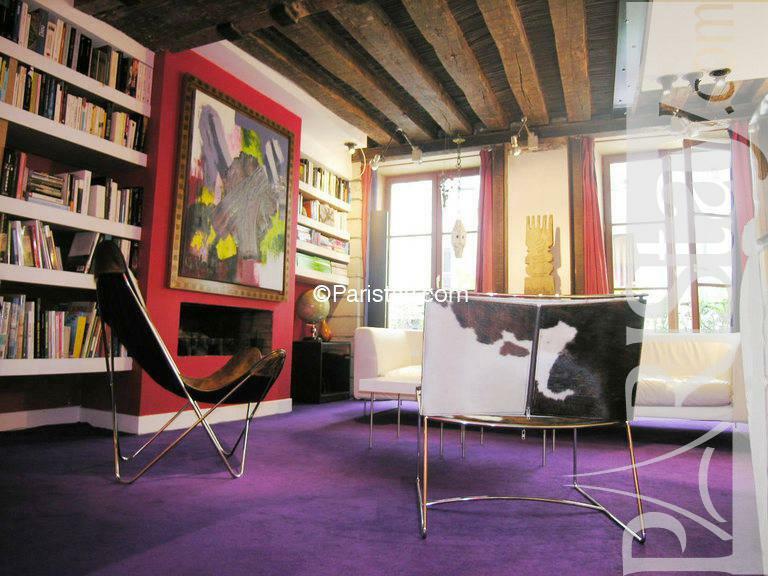 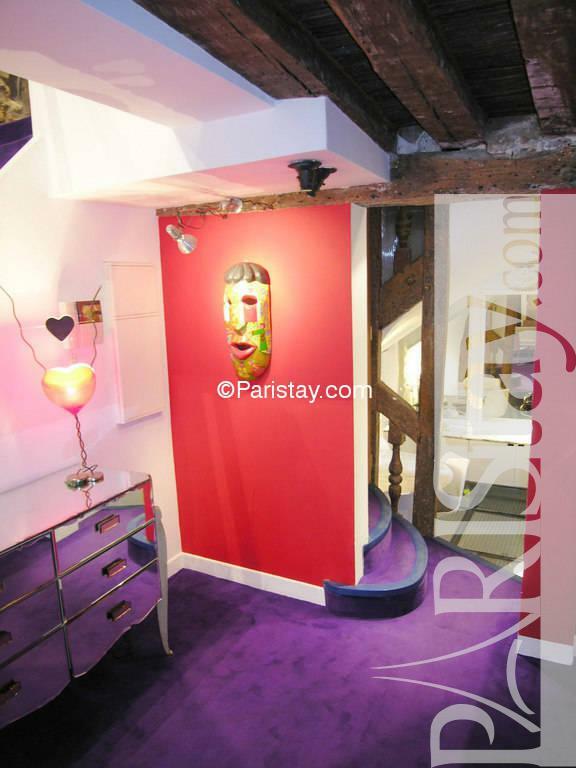 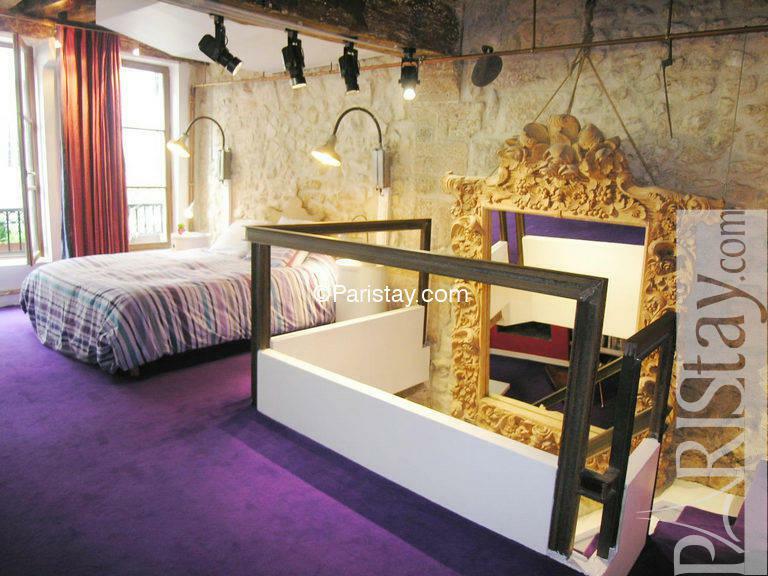 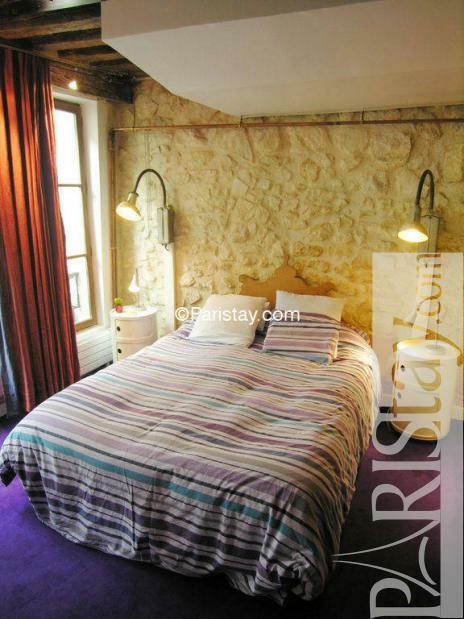 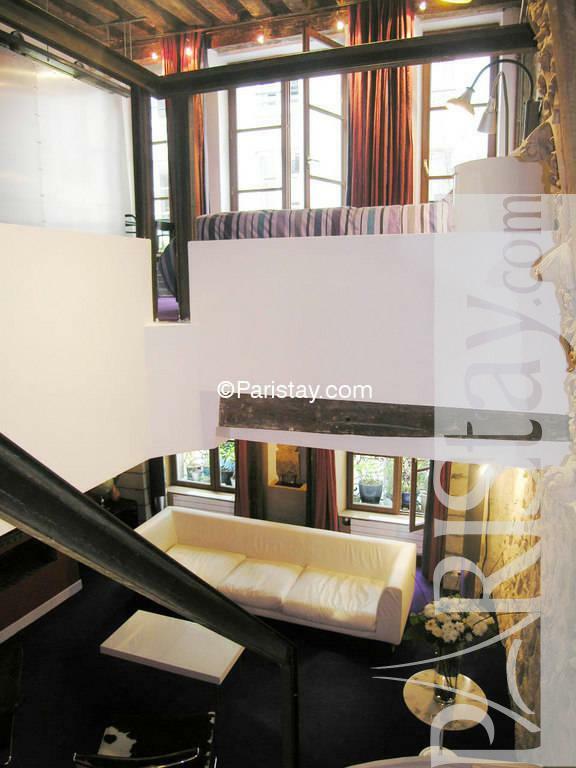 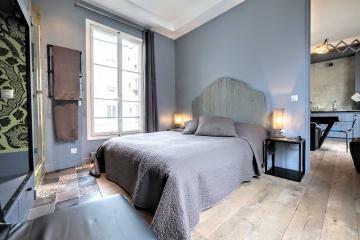 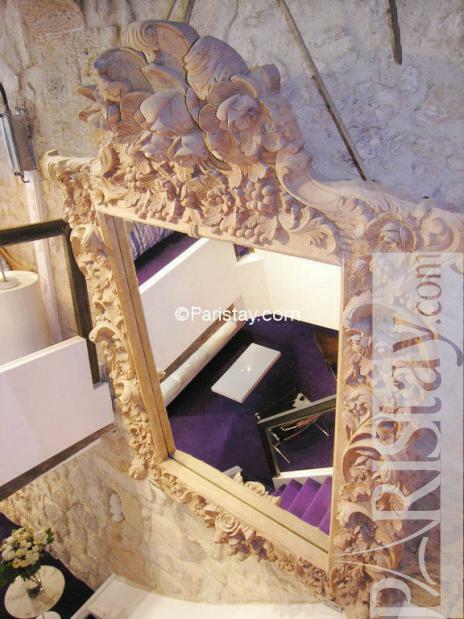 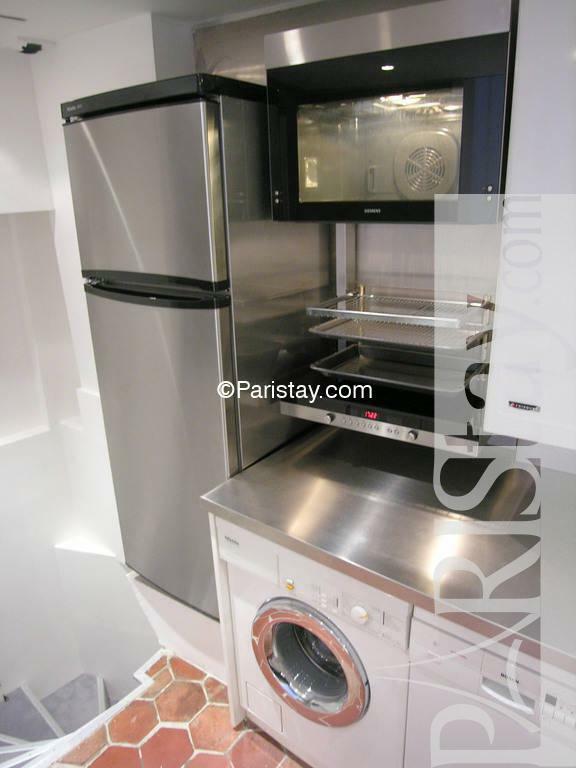 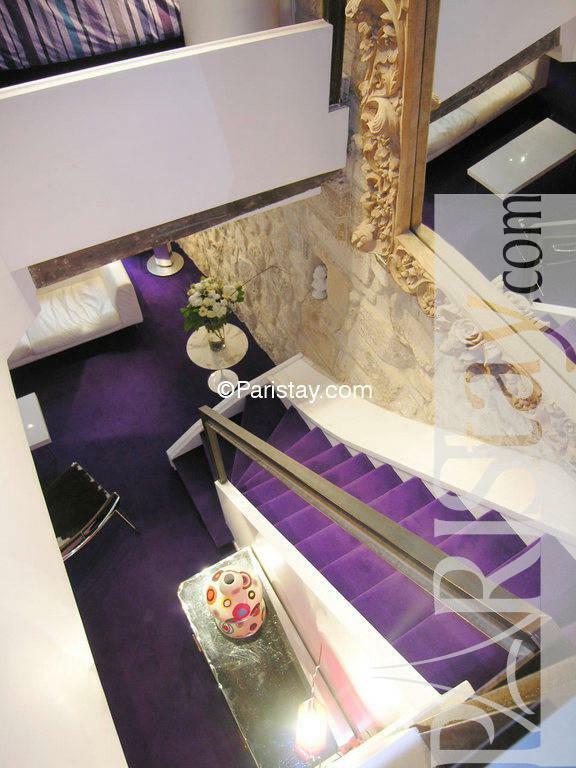 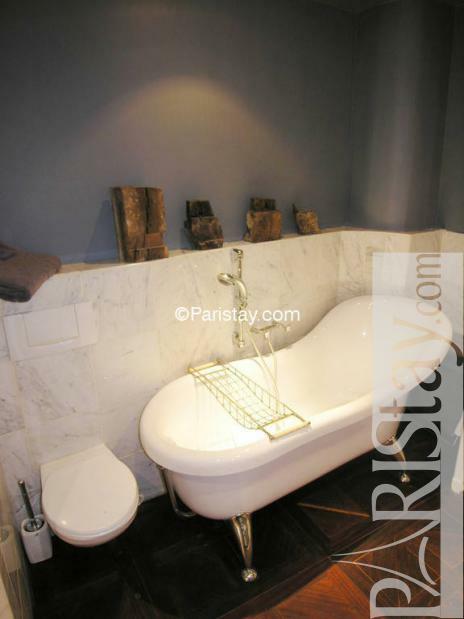 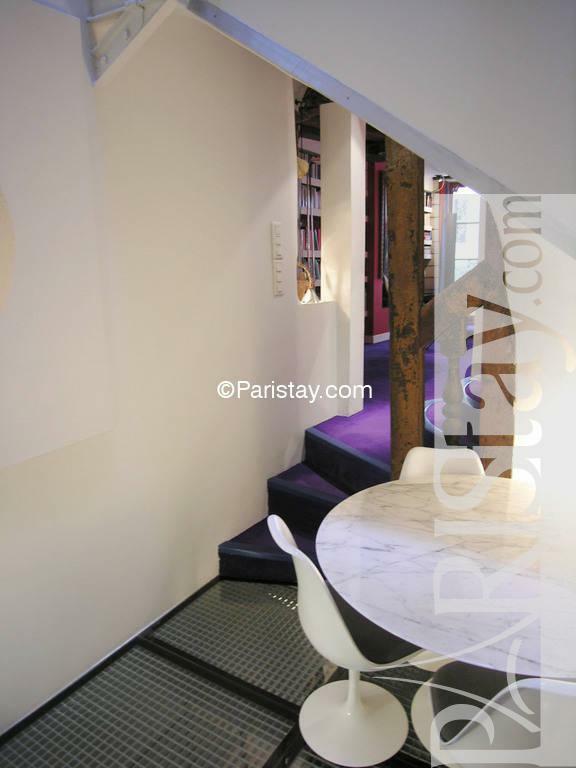 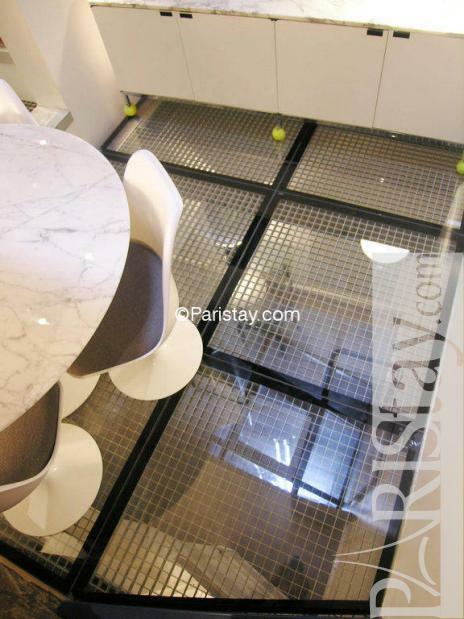 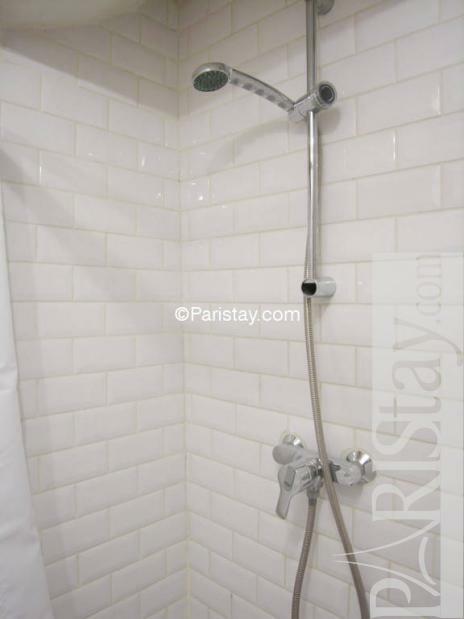 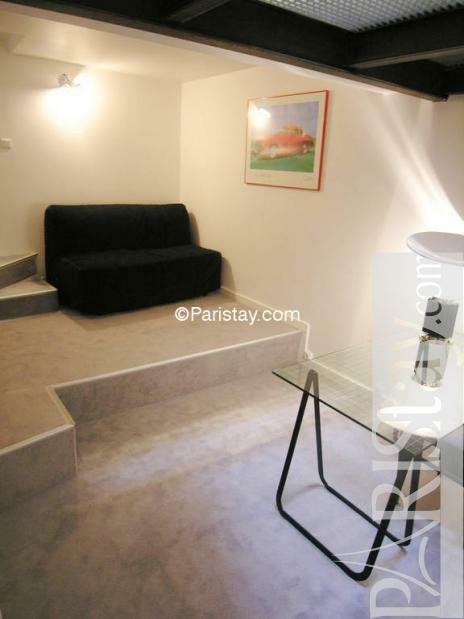 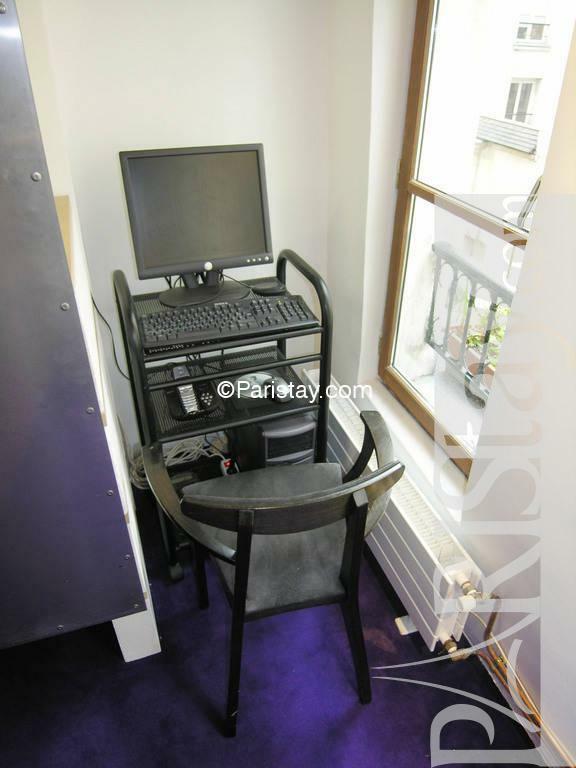 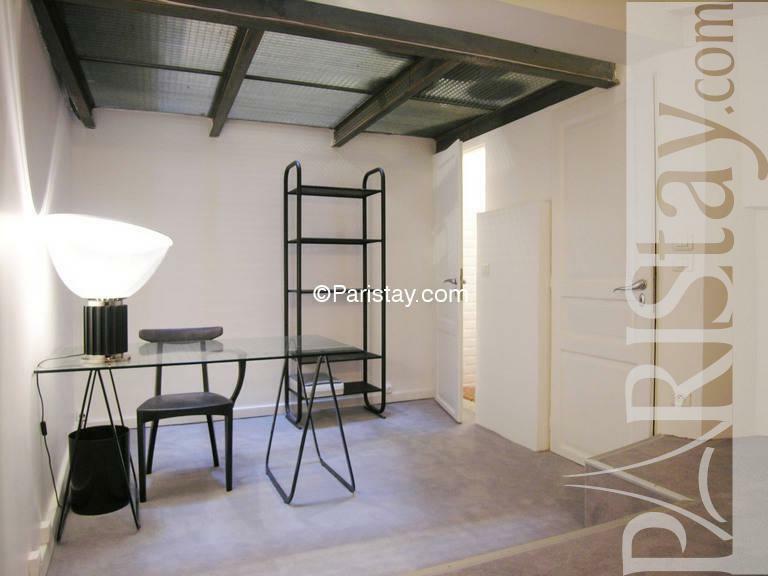 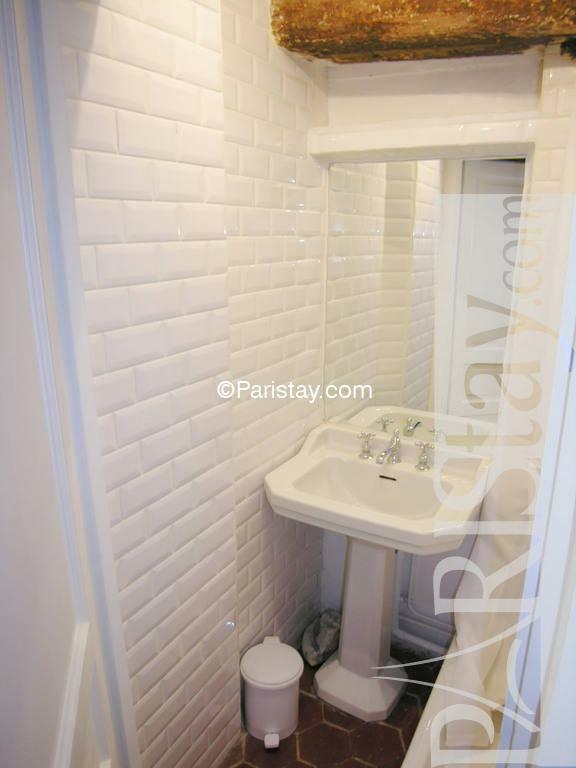 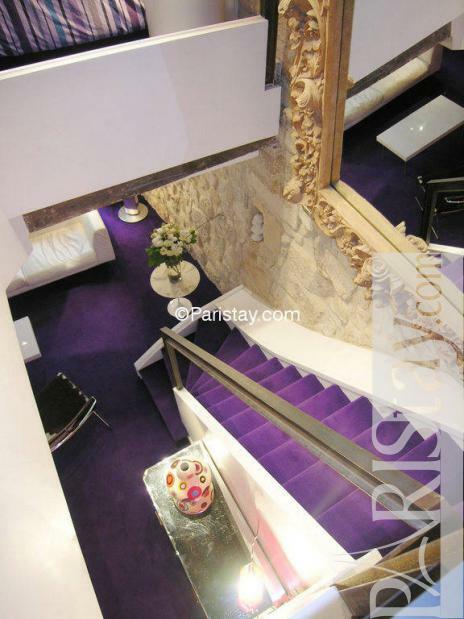 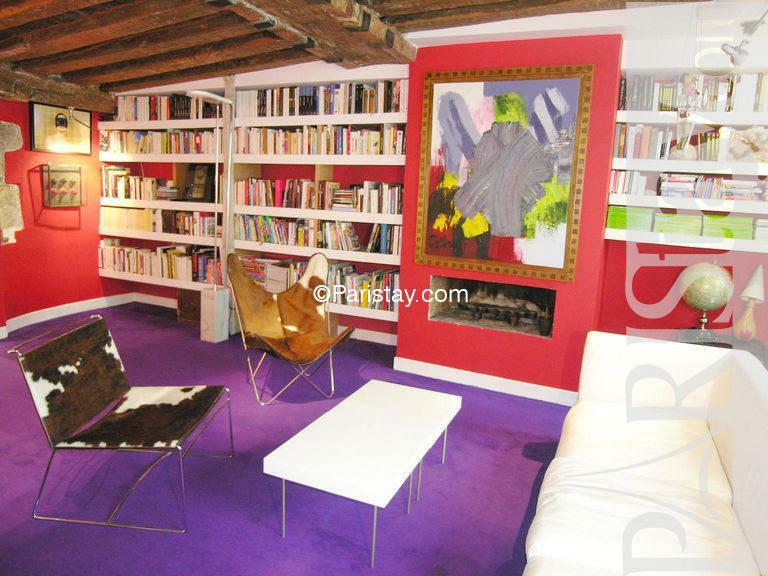 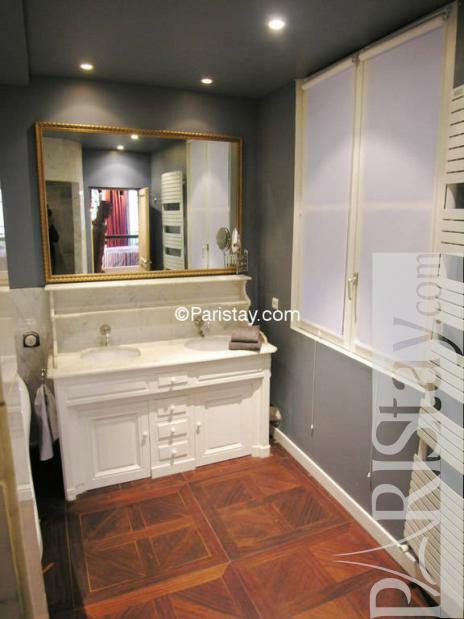 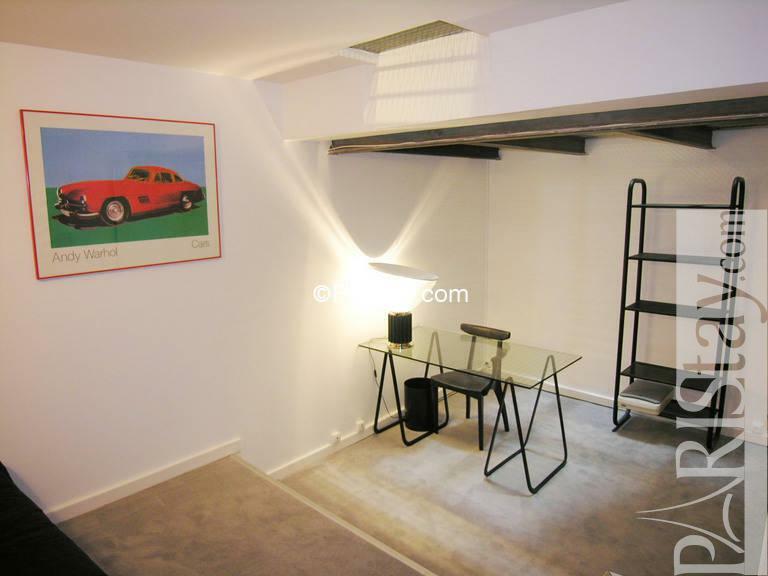 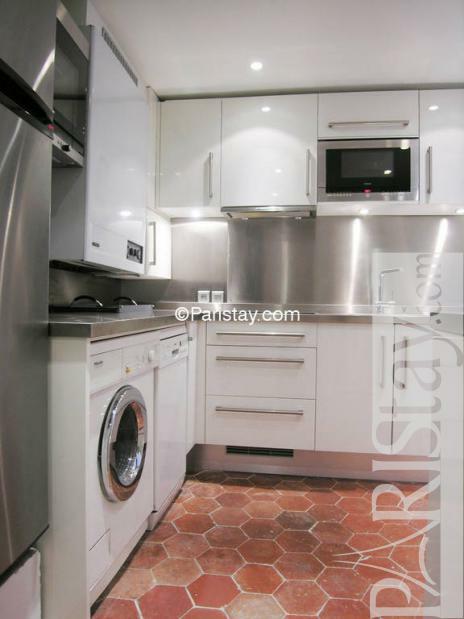 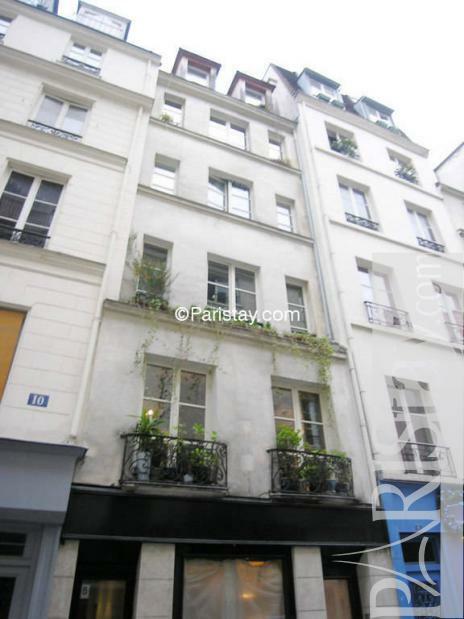 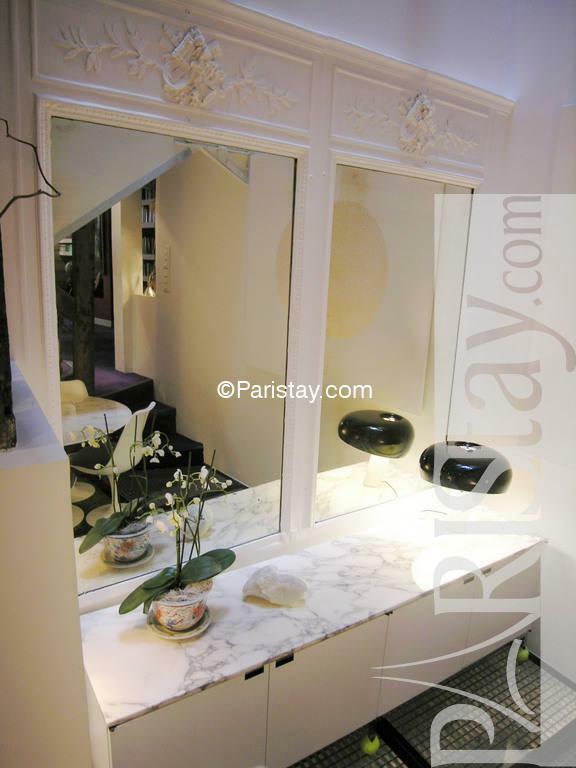 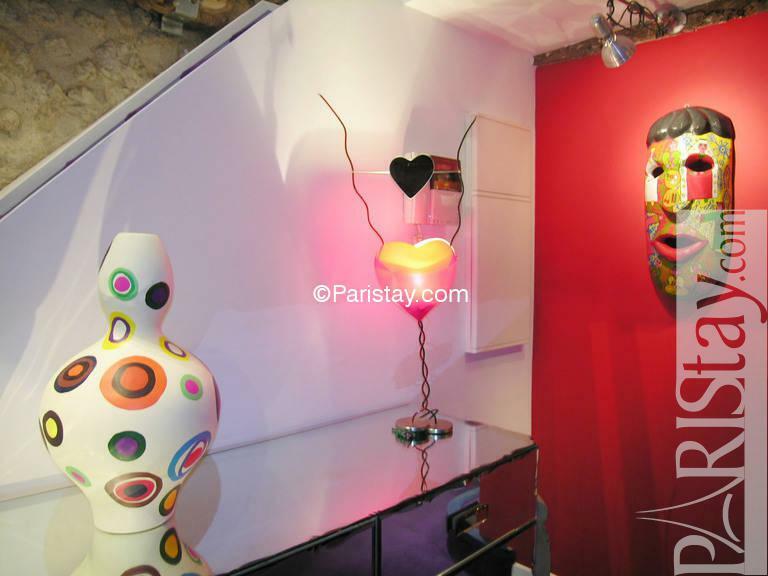 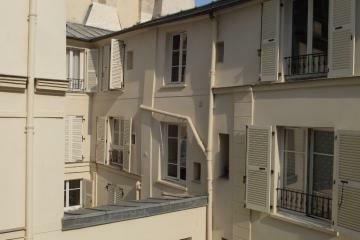 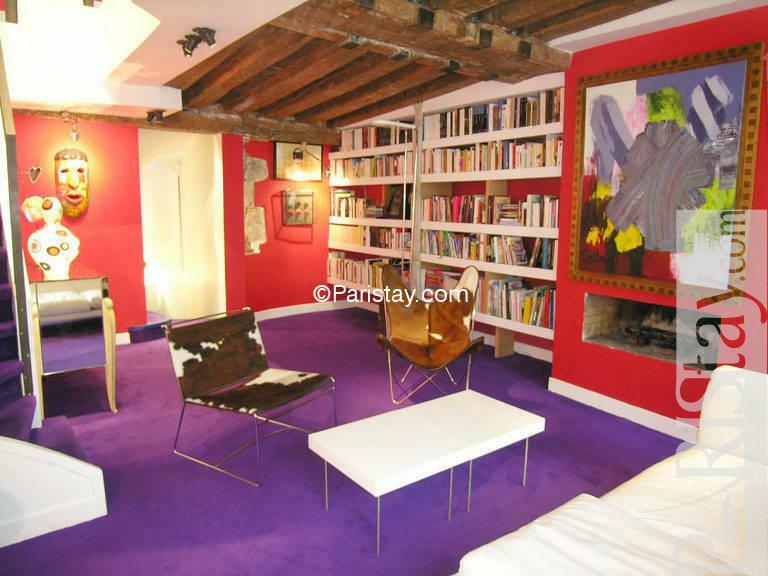 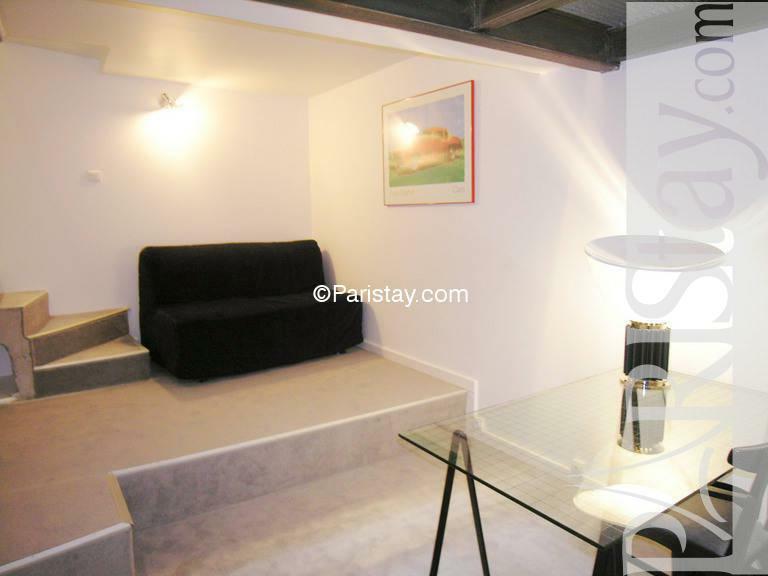 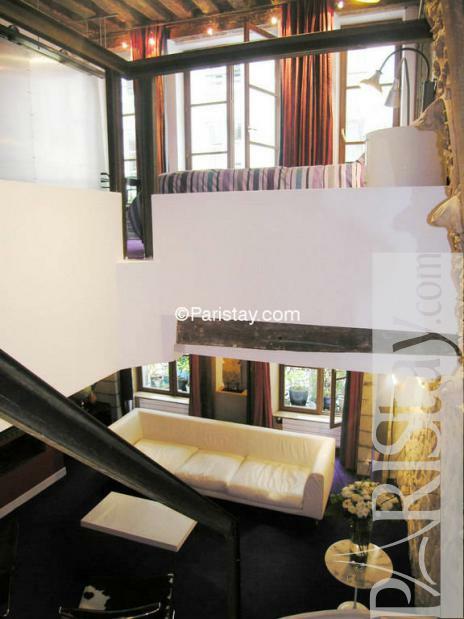 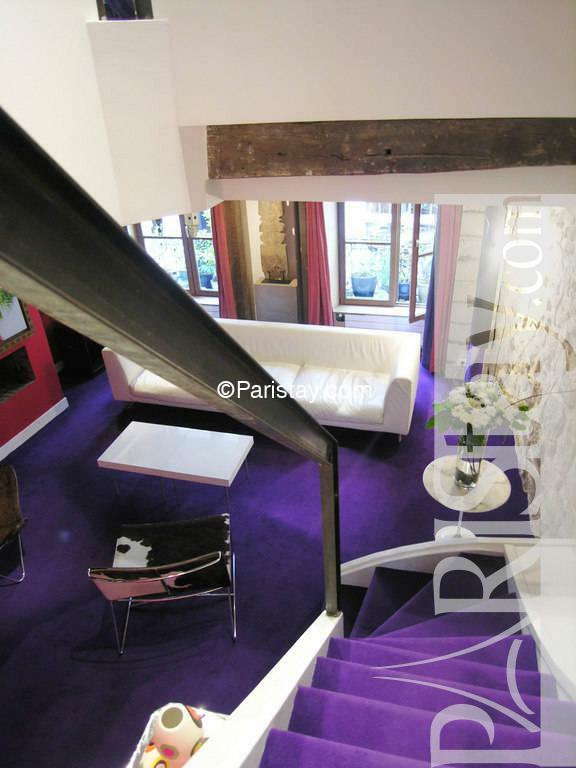 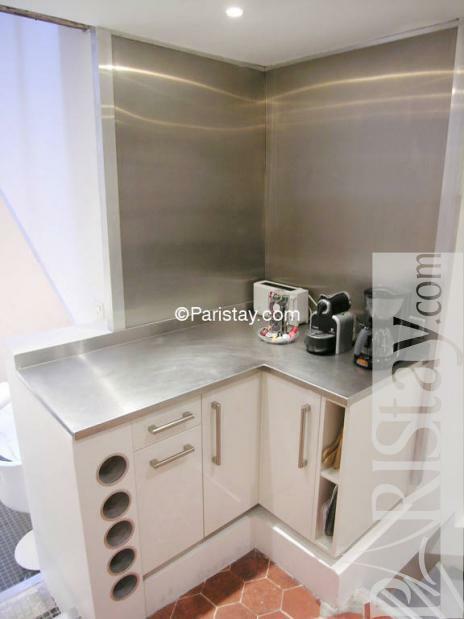 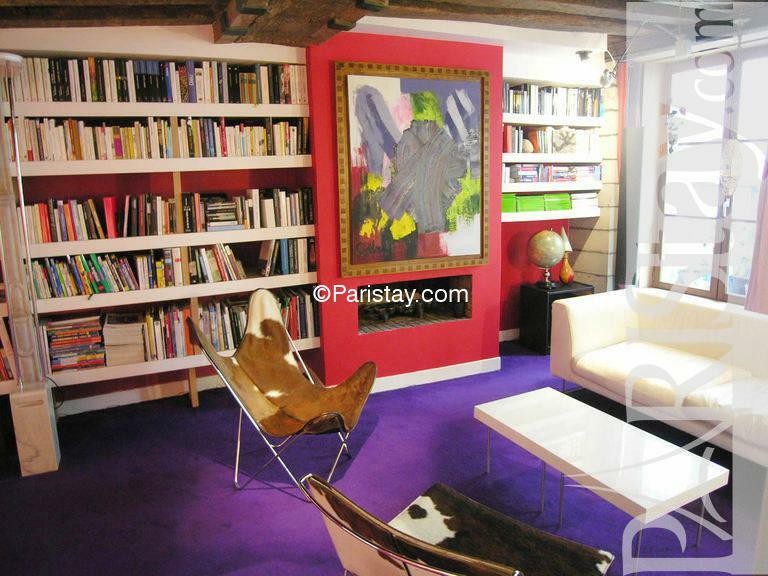 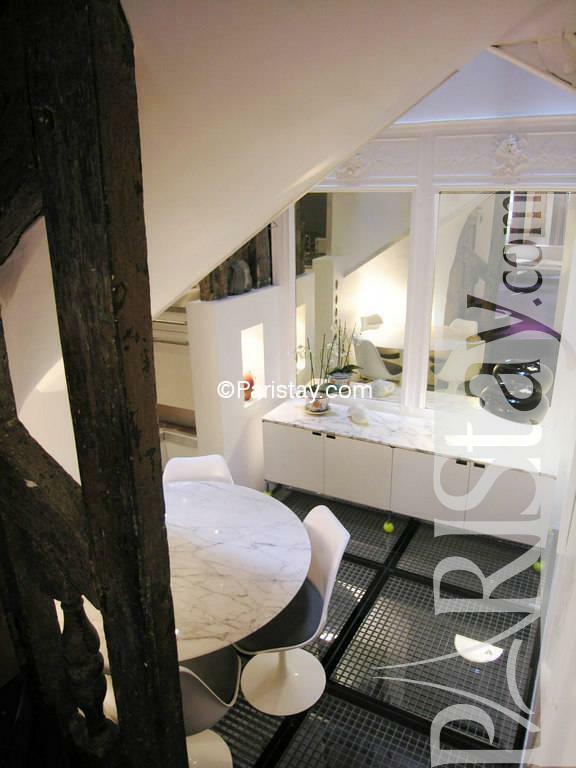 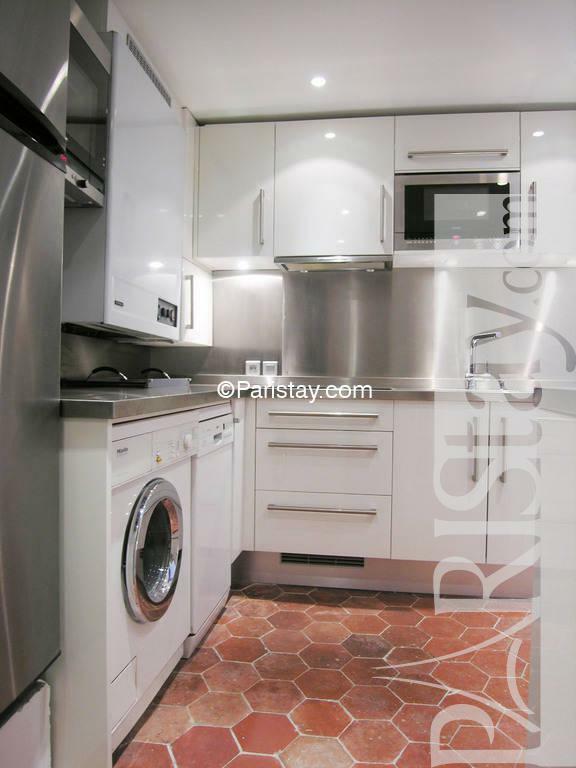 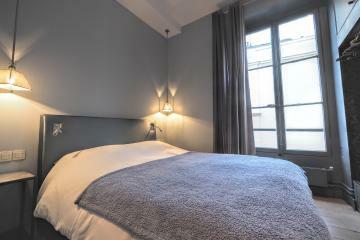 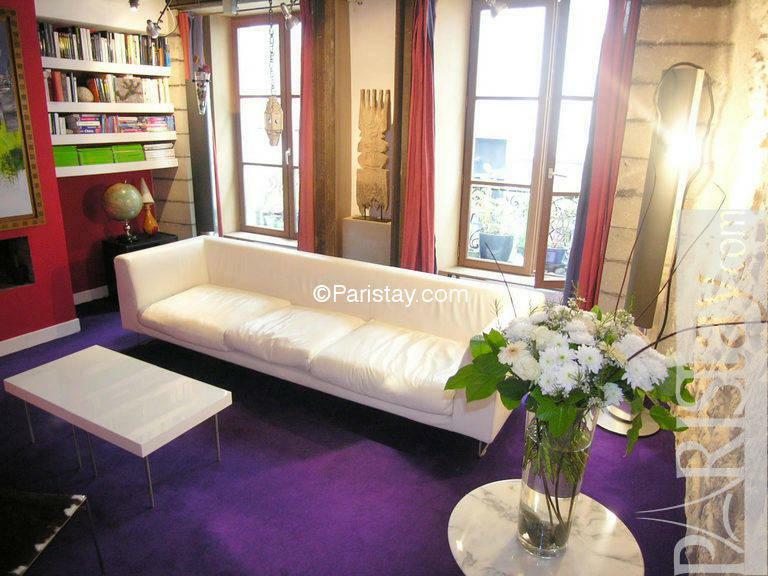 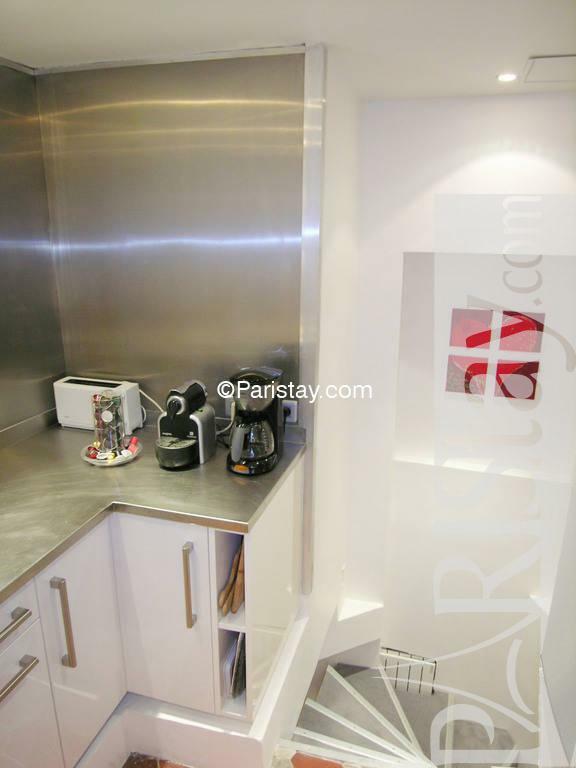 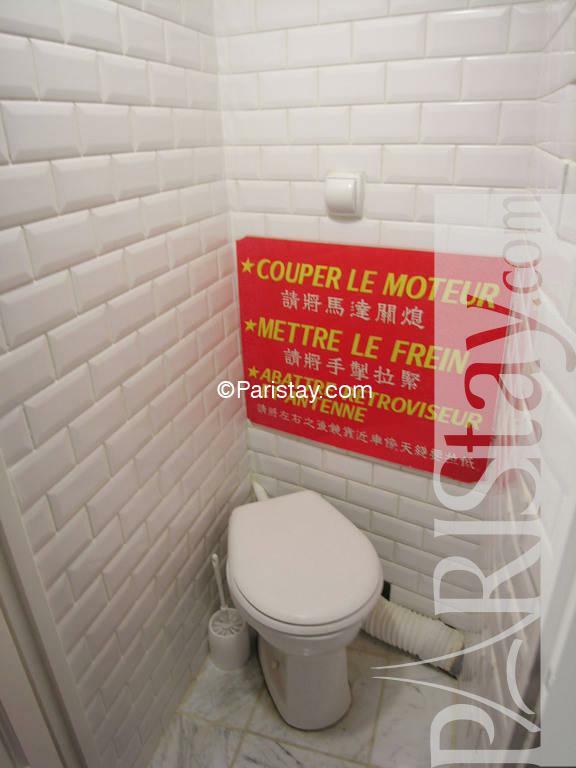 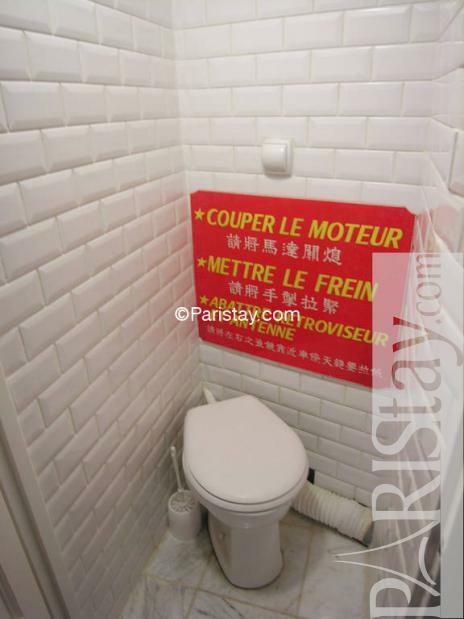 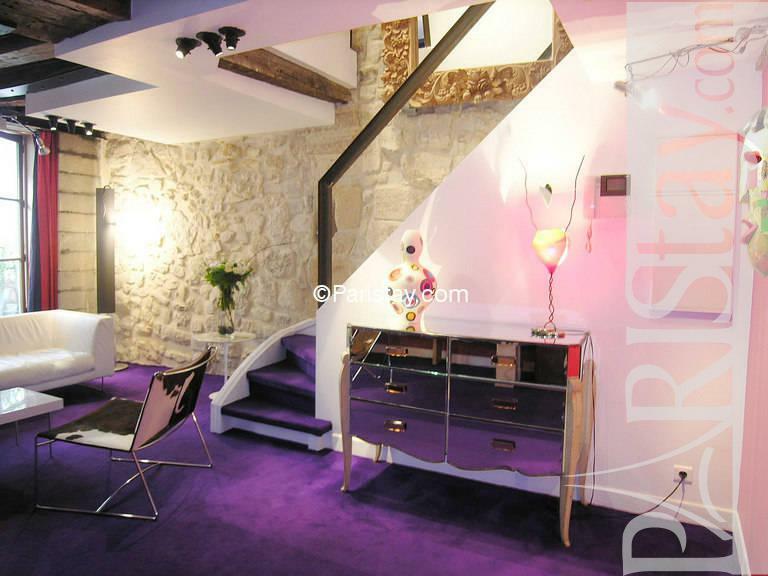 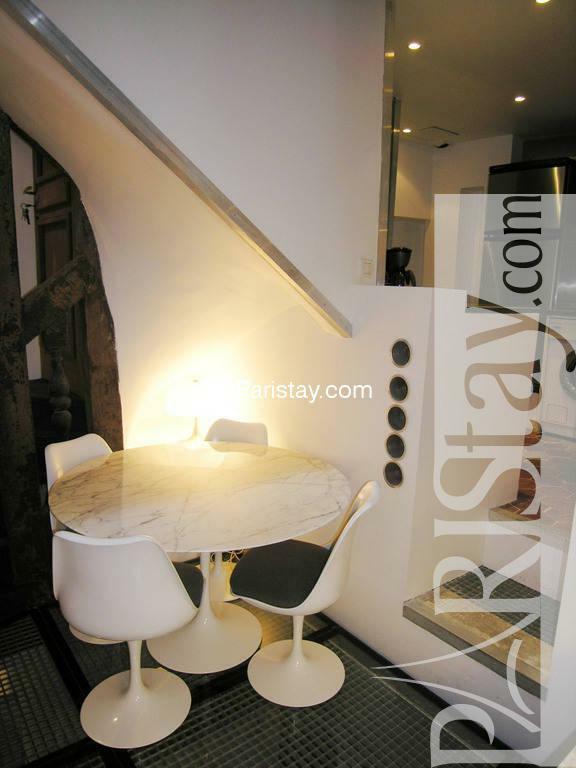 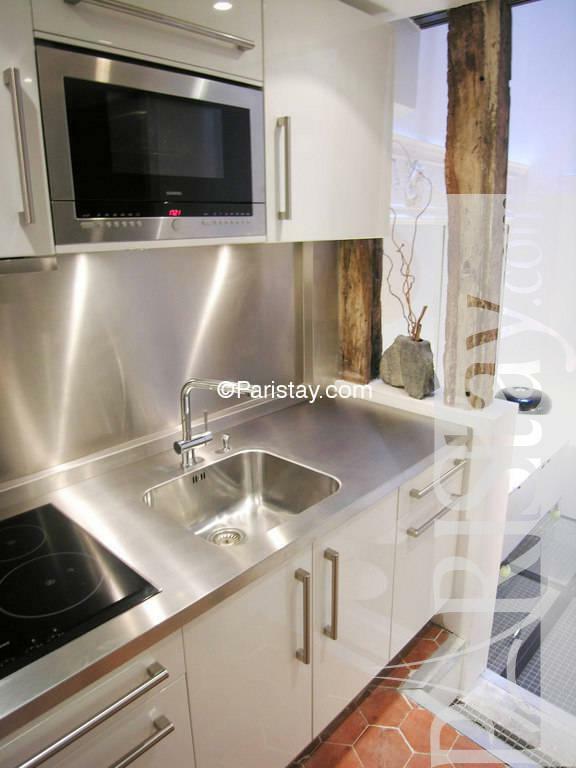 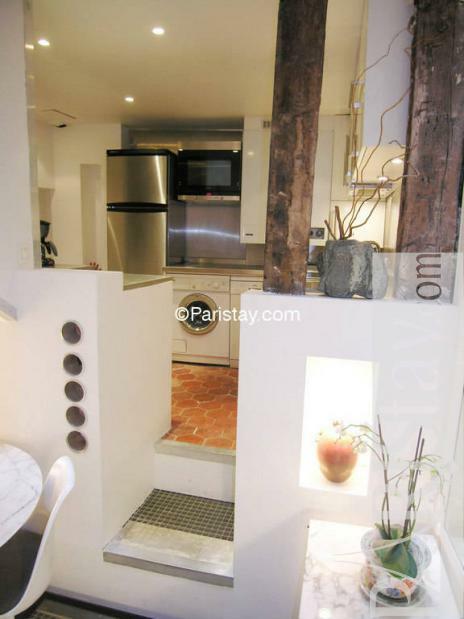 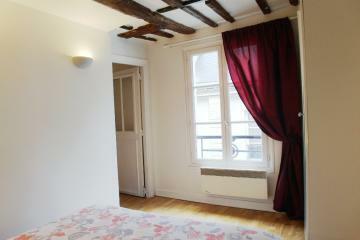 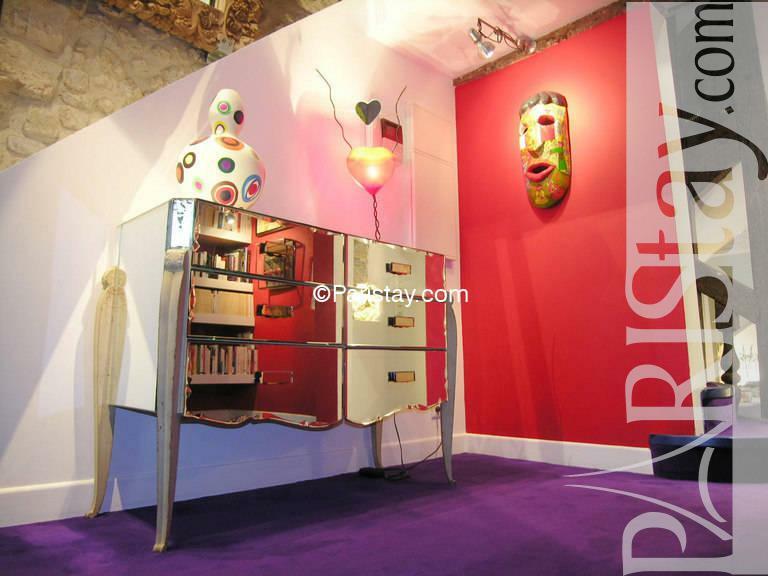 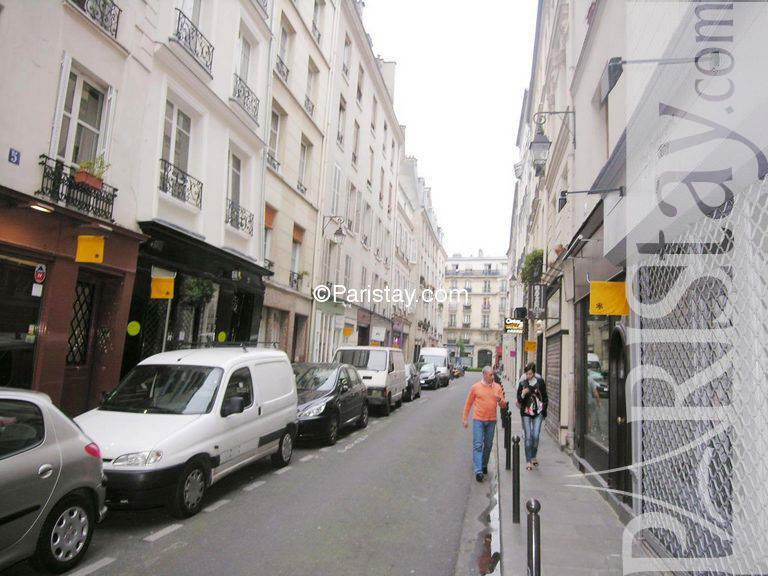 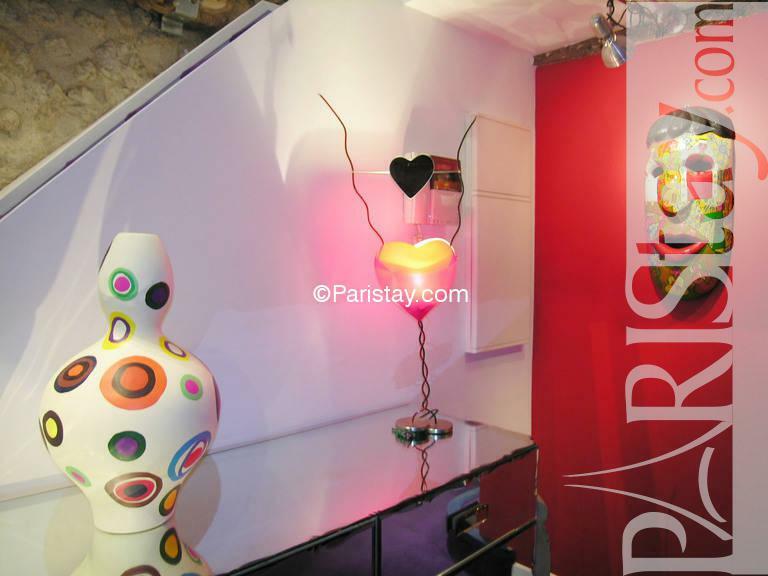 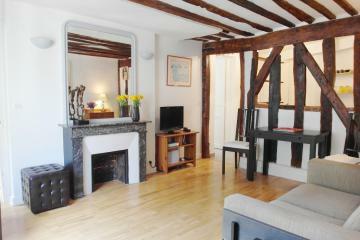 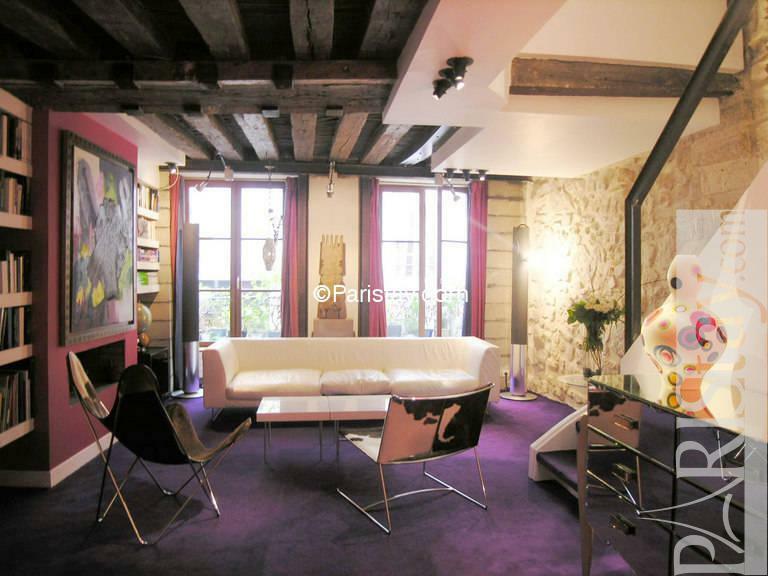 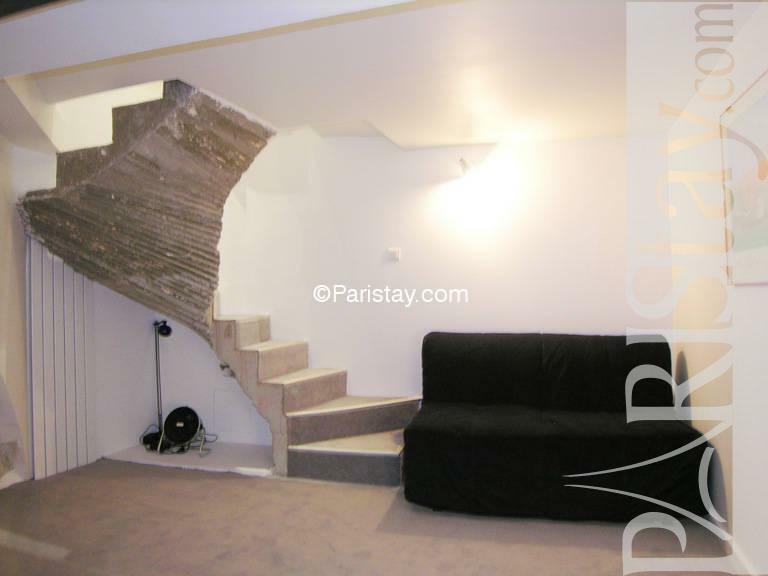 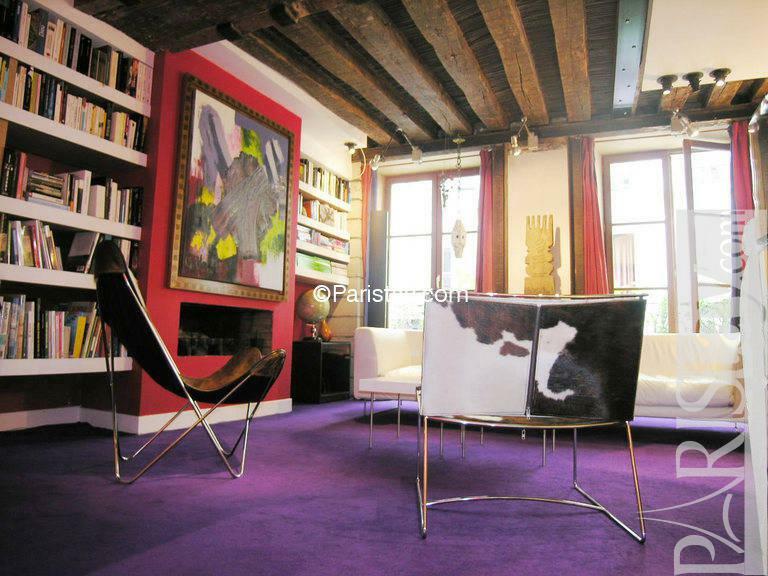 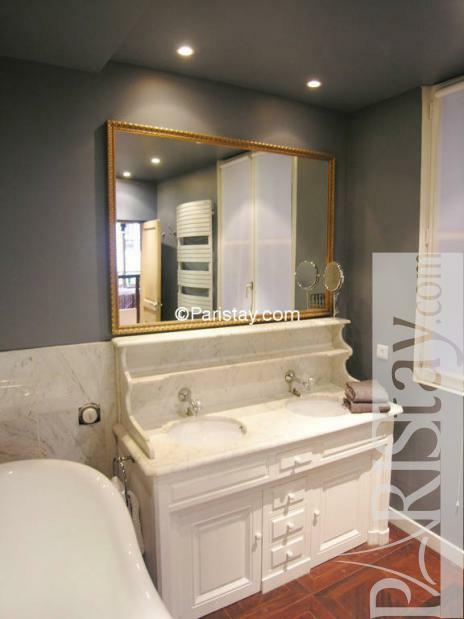 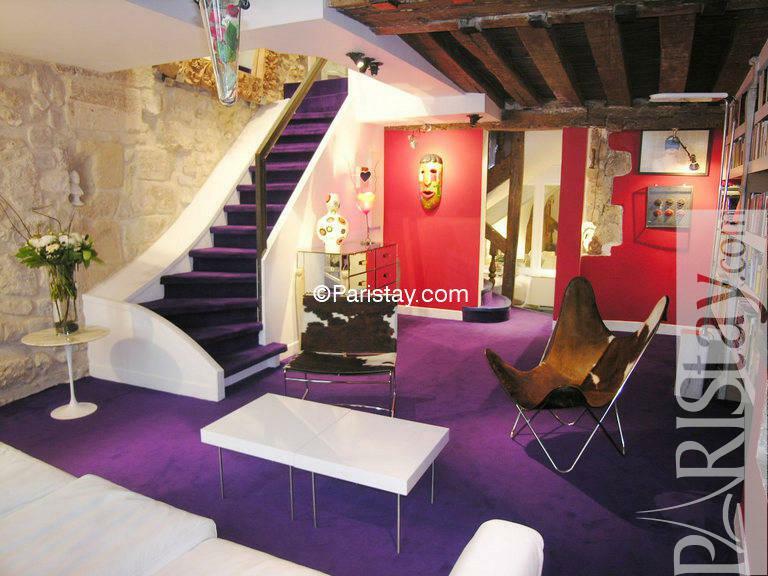 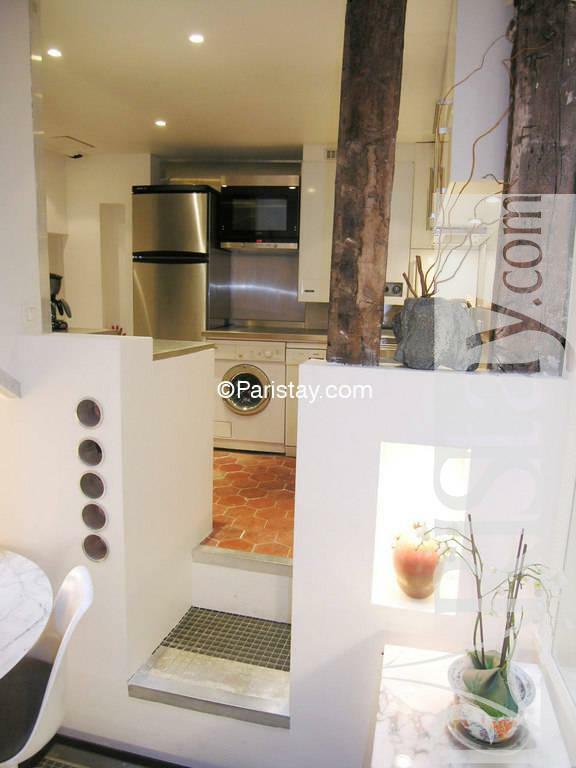 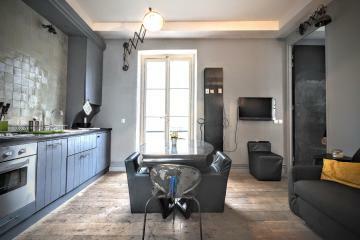 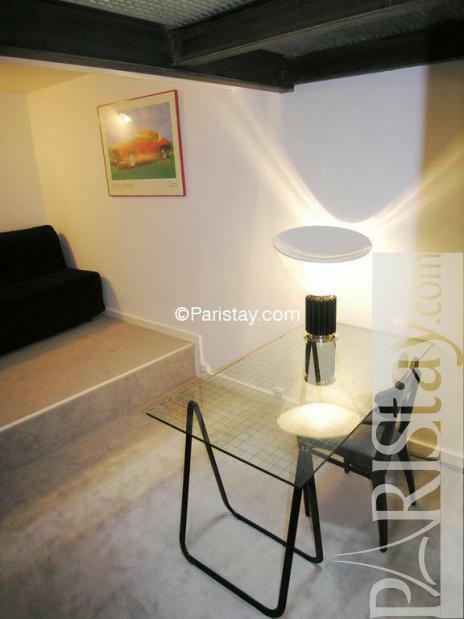 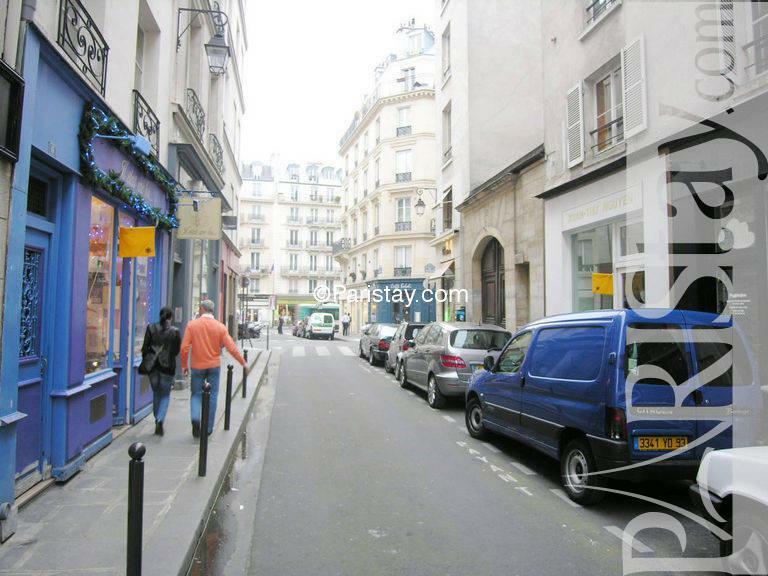 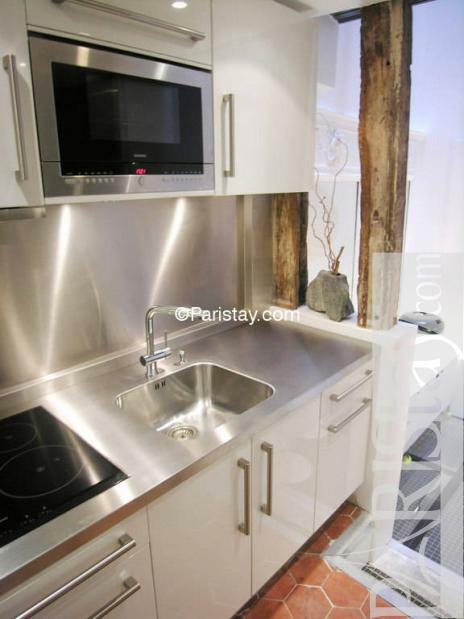 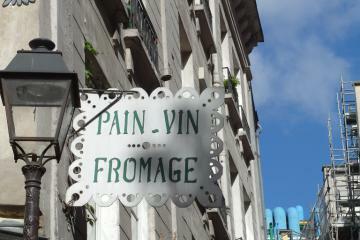 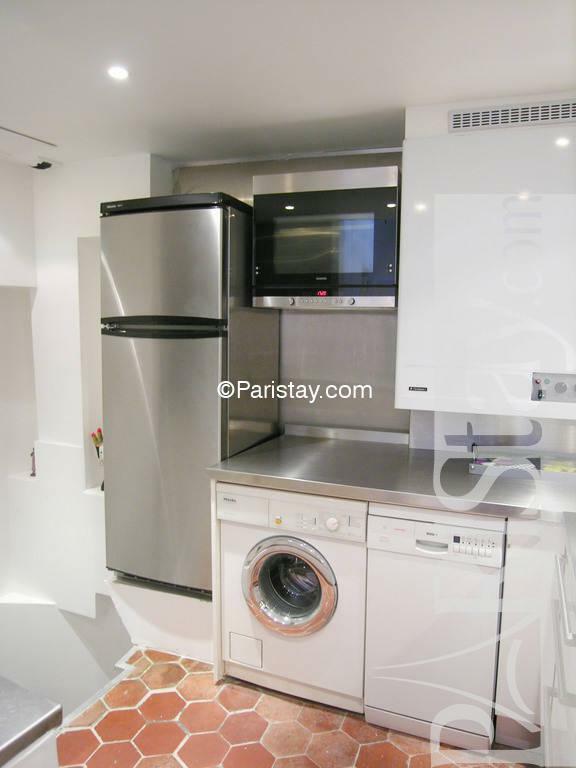 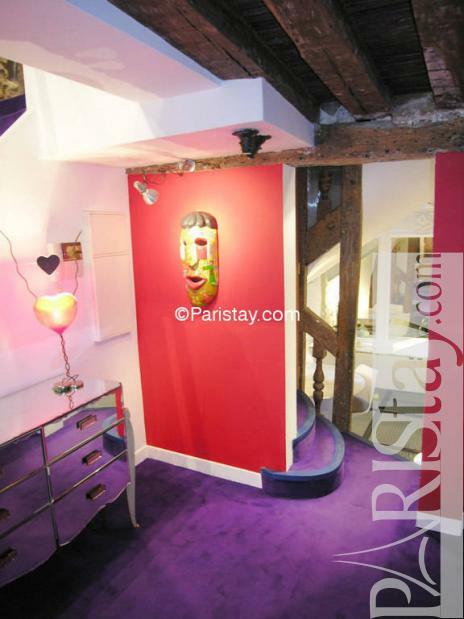 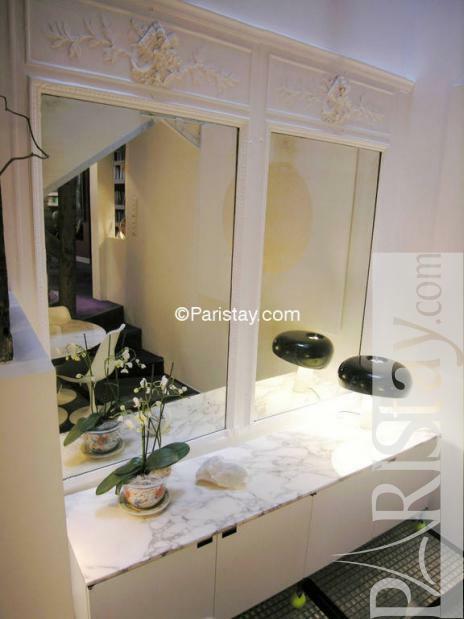 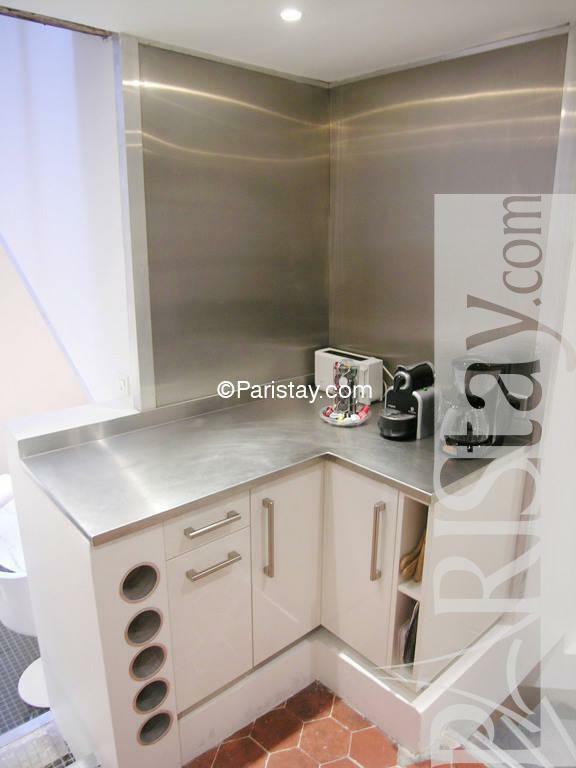 This colourful Paris 2 bedroom apartment has been fully renovated and is nicely designed. 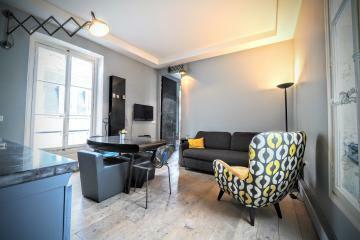 The living room is comfortable and equipped with Wireless Internet access, cable TV and a dining table that can fit up to 4 people. 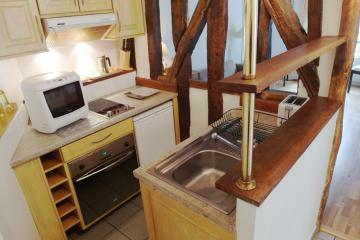 The spacious kitchen contains all the appliances and utensils that you need to cook. 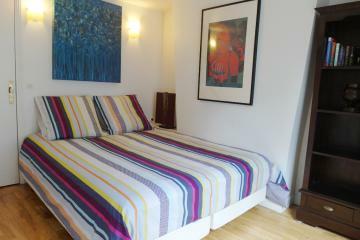 The master bedroom is very bright, and has a double bed. 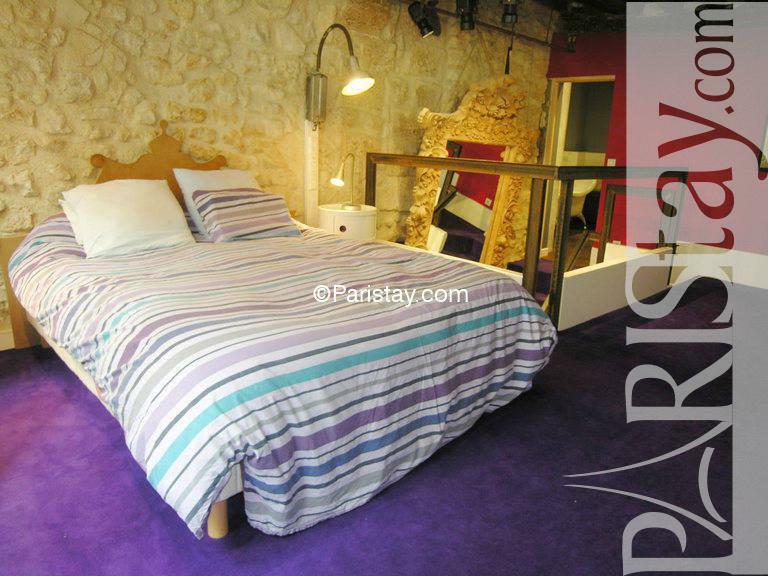 The second bedroom has a sofa-bed and a desk. 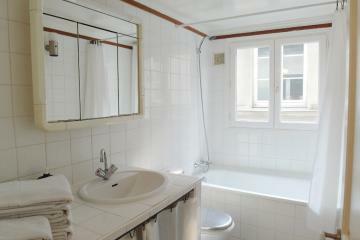 The bathroom has a large bath and a shower room. 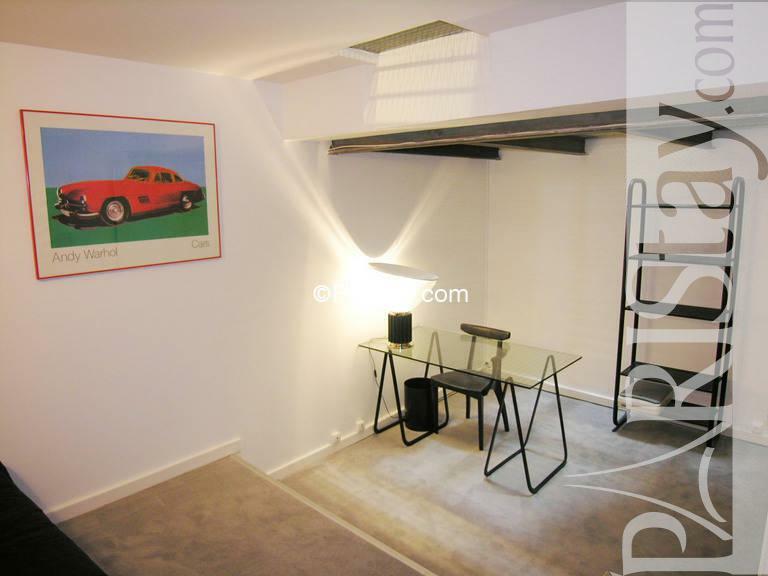 In a few words, this apartment is perfect to suit a family. 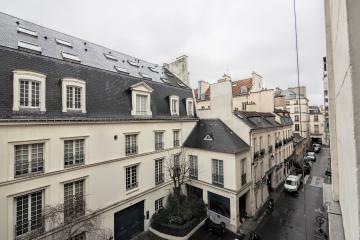 1700's Building, 1 st floor, without Lift, entry code security system, with intercom, 2 bedrooms Duplex, furnished, Approx: 80m² / 860 Sq.Ft.